Pigs! They’re selfish. And they’re a bit like us. And we’re a bit like them. 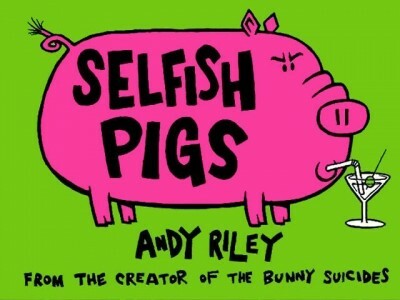 Here’s Andy’s new release for Autumn/Christmas 2009: loads of pages of pigs behaving, well, like pigs, and great fun they are too.